Microsoft’s Surface turned a profit in the September quarter, this came in after two years and nearly $2 billion in losses, the company said Thursday. For the quarter ending on Sept. 30, Microsoft recorded $908 million in revenue for the Surface tablet line, an increase of 127% over the same quarter in 2013. Microsoft said that the Surface line posted a positive gross margin, implying that outside estimates of prior losses were correct, but did not disclose a dollar figure. The margin was small, about 13.4%. That’s more than the average for a Windows personal computer, but less than half or a third of the margins on tablets like Apple’s iPad. It was even smaller by the figuring of Jan Dawson, principal analyst at Jackdaw Research, who has also used Microsoft’s SEC filings to estimate the Surface’s cost of revenue. He pegged the September quarter’s cost of revenue at $825 million, the gross margin at $83 million, and the margin rate at just 9.1%. “That’s a gross margin … which is not earth-shattering and in fact about half the gross margin of the phone business at Microsoft. 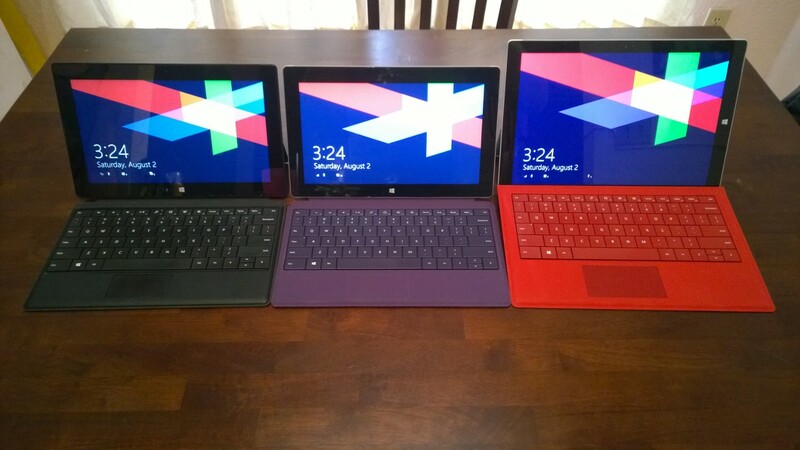 But it’s progress,” Dawson wrote on his blog, where he published his analysis of Surface’s financial performance. Over the last four quarters, Surface also remained in the red, with losses of $325 million on revenue of $2.7 billion. Put another way, for each dollar Microsoft earned on Surface sales, it lost about 12 cents. “There’s a long way to go to get to the kind of gross margins that would lead to true profitability once marketing and other costs are factored in,” Dawson said. Microsoft’s advertising campaign for the Surface has been substantial, with widespread television spots, and its marketing spending has also been brisk, including a reported $400 million deal with the National Football League (NFL) that put Surface tablets on the sidelines. “The release of Surface Pro 3 in June 2014 contributed to a 126% increase [in revenue], reflecting higher premium mix of devices sold,” Microsoft said.